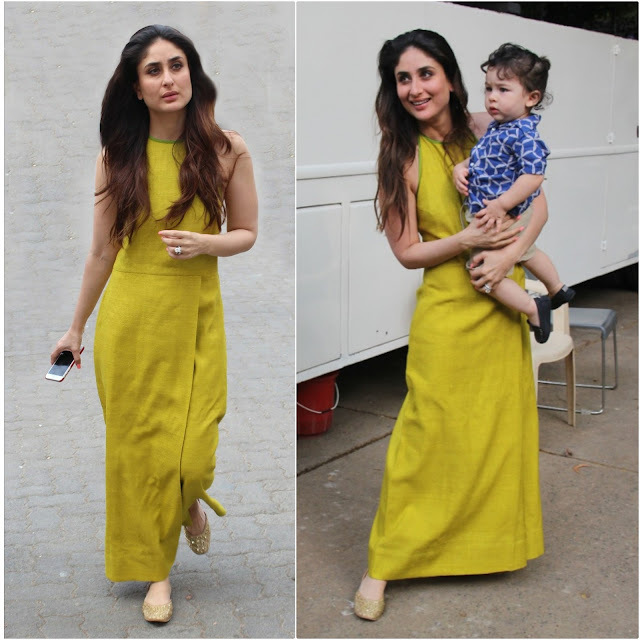 Kareena recently sported Payal Khandwala to hang out with her little munchkin Taimur. Keeping everything easy-breezy, she rounded out her look with a pair of juttis. The color looked great on her, such an effortless and chic look! Ms. Kapoor looked good and that little teddy is LOVE!